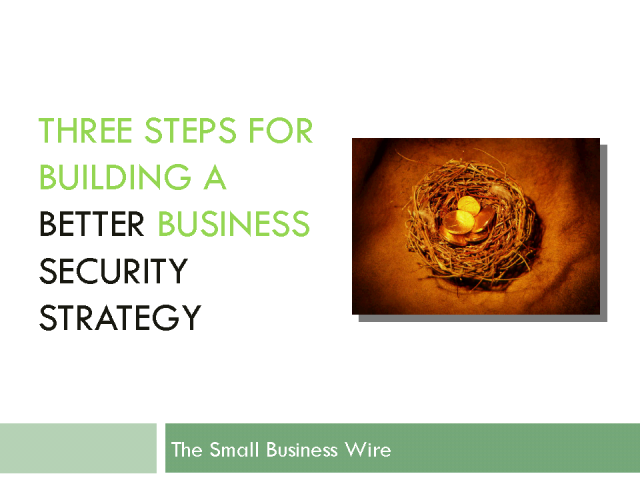 A well executed security plan can help save a small business thousands of dollars. Learn how applying just three basic strategies can help create a safe harbor for your business. The Small Business Wire strips out all the product hype in this short yet pointed webcast and delivers solid steps you can implement now. Guest speaker, Shelah Johnson, CMO Techchex, will walk you through today’s high security risks including new changes in the law, shed light on new compliance requirements, give you a better understanding on internal and external risks, and show you how with little or no investment you can build a safer and more profitable business. What you don’t know can hurt you! Learn how to identify your business "sweet spot" and how to turn your "market voice" into small and midsize business sales. Each month The Small Business Wire brings you the tools and the experts you need to help grow your business, increase your marketing activities and build customer loyalty. Learn practical and cost effective way to build a winning strategy in any economy.